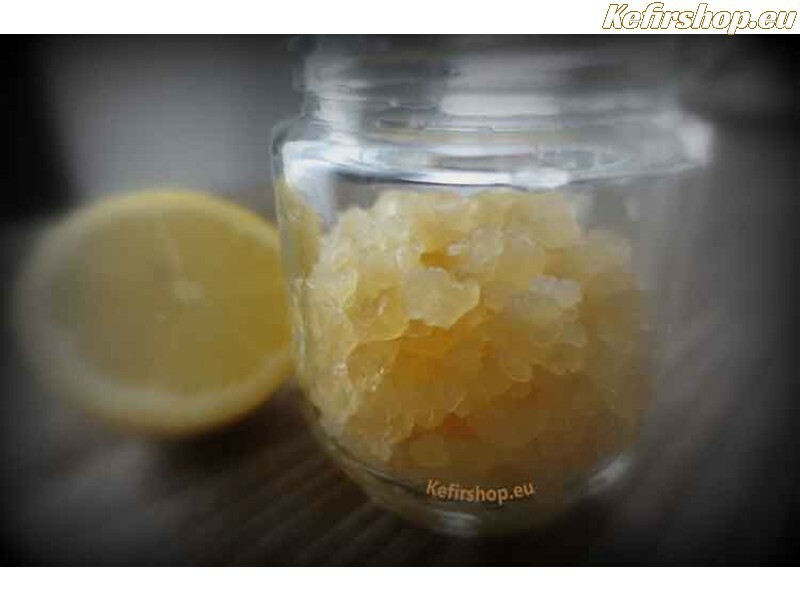 Water kefir grains are reusable kefir cultures (composition = yeasts and bacteria). 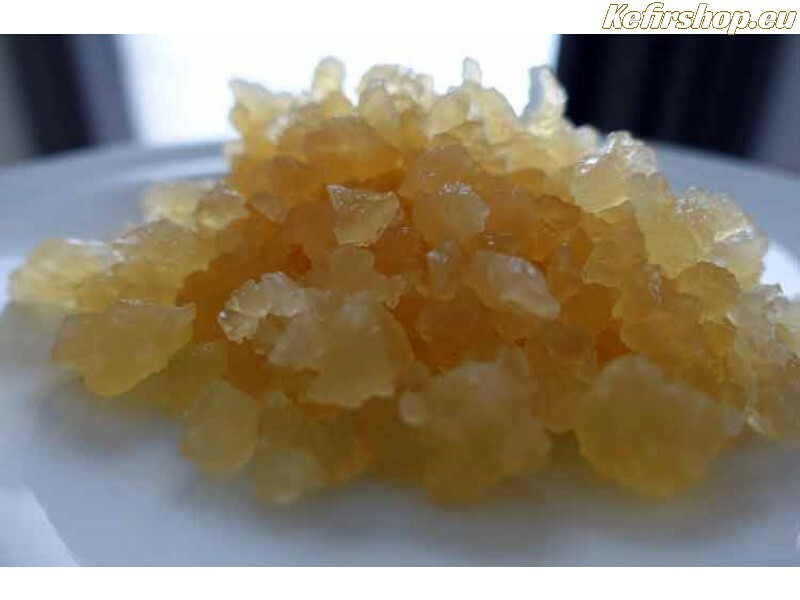 Add the kefirgrains to sugared water with some dried fruit of your choice and after 24 to 48 hours, you will get a delicious probiotic kefir beverage. 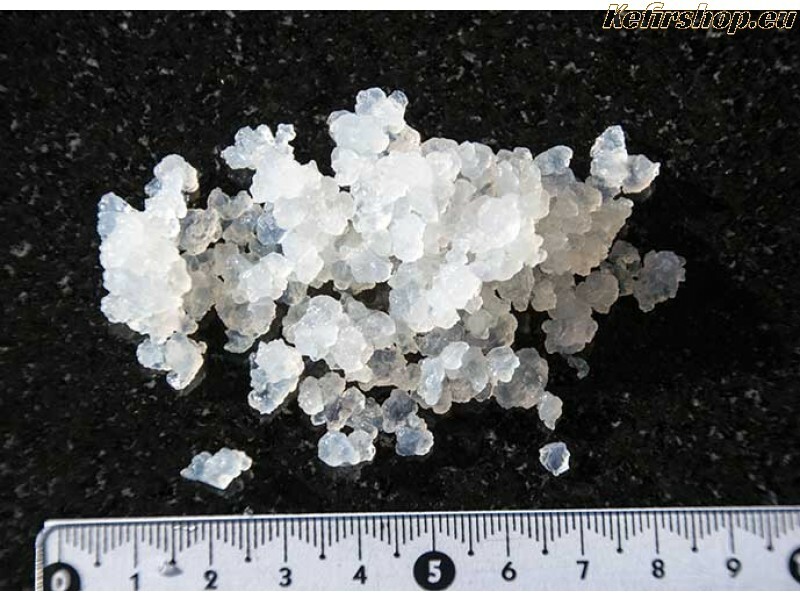 40 g water kefir grains, this is enough to make about a half liter of waterkefir. 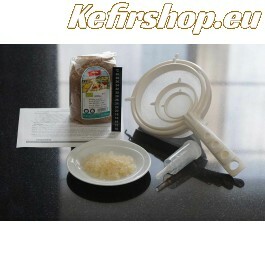 the supplied instruction is ready to start with 20 g water kefir grains, for 40 g you should do all ingredients times two. it's recommended to use plastic strainers. the adhesive thermometer strip can be used on the jar you use to ferment, so you can easily monitor the temperature. with the three-piece airlock you can properly follow the fermentation. The perforated cab let the carbon dioxide escape through small holes, the closed structure prevents the penetration of dirt and flies. 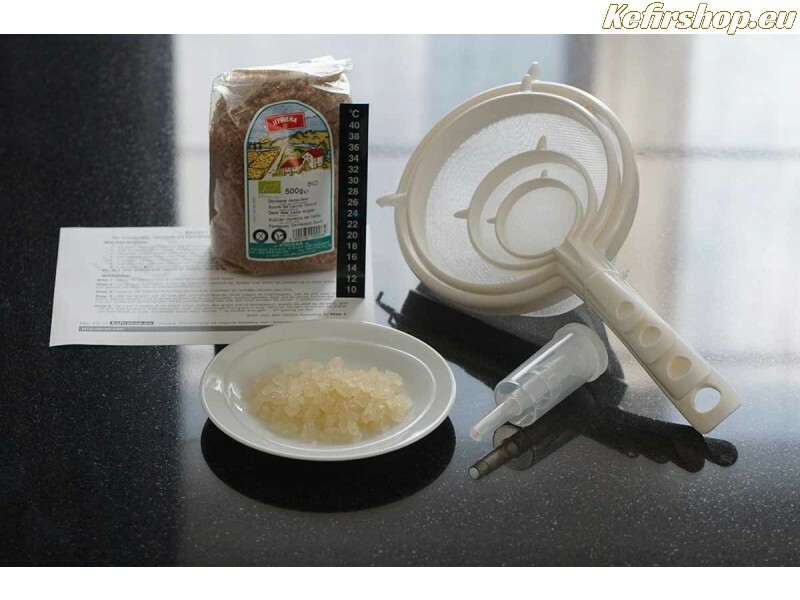 to make water kefir we recommend raw cane sugar. The sugar is organic, the origin is South America.